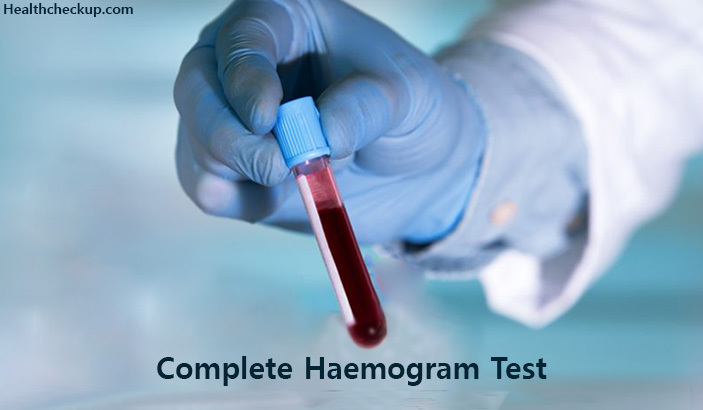 The complete haemogram test, also known as the complete blood count (CBC), is a broad screening test performed to check for any underlying diseases and infections in the body. The test helps in evaluating your overall health and detecting a wide range of disorders such as anemia, infections and more critical conditions such as cancer. The test also helps to constantly monitor a chronic health condition that may cause changes in a person’s blood count results such as chronic kidney disease. In addition to this, the test measures haemoglobin levels in the blood, which is the oxygen-carrying protein present in the red blood cells. Another important factor measured by a complete blood count is haematocrit which is the proportion of red blood cells to the plasma, i.e., the fluid component of the blood. What does a Complete Haemogram test Comprise? 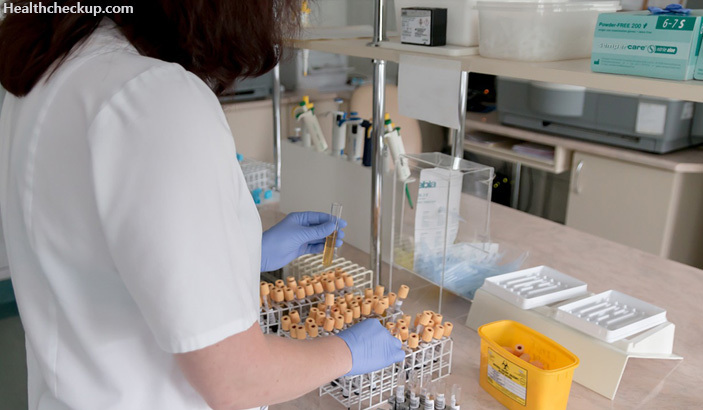 A complete haemogram test comprises of a complete blood count, the testing for erythrocyte sedimentation ratio (ESR) and the peripheral smear test. The ESR test measures how quickly the red blood cells or erythrocytes settle in a test tube. The presence of inflammation in the body due to an infection or cancer causes the red blood cells to settle more slowly than they do in normal body conditions. So, the ESR test primarily helps diagnose any inflammatory diseases in the body even when the CBC test results are normal. The peripheral smear test is done to verify if the red blood cells, white blood cells and the platelets are normal in appearance and number. This test also helps differentiate between the three types of white blood cells and to determine if their relative percentages in the blood fall into the normal range. Added to this, the peripheral smear test helps diagnose a number of deficiencies, diseases and disorders that involve blood cell production, function and destruction. 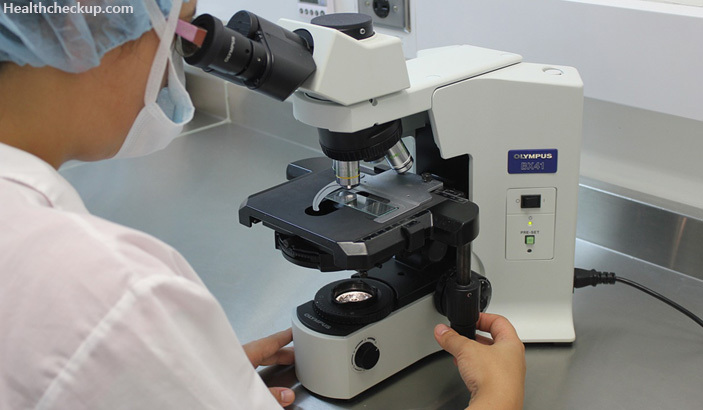 The test helps monitor cell production and cell maturity in the case of patients suffering from leukaemia, or those who are undergoing chemo/radiation therapy and aids in the evaluation for haemoglobin variants. It is also useful in some parasitic infections like malaria, filaria. It not only diagnose them but also tell us severity and grading of parasitemia. This will be helpful in treatment plan. When does the Doctor order a Complete blood Count Test? To get an Insight on your Overall Health: Your doctor might order a complete blood count test as part of a routine medical examination to get an insight of your general health, and to check for a variety of disorders such as anemia or leukemia. To Help Diagnose a Medical Condition: If you’re experiencing any symptoms such as weakness and fatigue, fever, inflammation, bruising or bleeding for a prolonged period, your doctor will order a CBC to help him diagnose the underlying cause of these signs and symptoms. If your doctor suspects an infection, then the results of a CBC test will help him confirm his suspicions or prove his suspicions false. To Constantly Monitor a Medical Condition: If you’re suffering from a blood disorder that affects the blood cells count, you may have to undergo CBC tests regularly to monitor your condition. To Monitor the Effects of the Medical Treatment for a Medical Condition: If you’re suffering from a chronic disease that requires you to take medications that might affect blood cell counts, your doctor will order frequent complete haemogram tests. If your blood sample is being tested for a complete blood count alone, you can eat and drink normally before the test. But if your blood sample is going to be used for other tests, you might need to fast for a certain amount of time before giving your blood sample to the lab. It is best to ask for and follow the instructions provided by the doctor. For a complete blood count, a lab technician will draw a sample of blood by inserting a needle into a vein in your arm, usually at the bend in your elbow. The blood sample is later sent to the lab for analysis, and you can resume your normal activities almost immediately. What do the Results of a Complete blood Count Test Mean? White Blood Cells (WBCs):The main function of white blood cells is to fight infections in the body. The normal range for white blood cells is usually between 4500 to 10,000 cells/mcL. An increase of the white blood cells indicates to the doctor, the presence of an infection or inflammation in any part of the body. And, when the white blood cells fall to a lower range than normal, it indicates that you are at the risk of developing an infection. Red Blood Cell (RBC) count: The RBC count indicates the number of red blood cells you have in your blood. RBCs are really important blood cells because they carry oxygen throughout the body and also help filter carbon dioxide. The normal range for RBCs is 5 million to 6 million cells/mcL in men, and for women, the normal range is 4 million to 5 million cells/mcL. A drop in RBC count may be indicative of anemia that might be caused due to various reasons including internal bleeding at any site in the body. Hb: As mentioned before, haemoglobin is a protein in the blood that holds oxygen. The normal haemoglobin levels for men is 14 to 17 gm/dl, and in women it is 12 to 15 gm/dL. A decrease in haemoglobin levels is indicative of anemia, and further investigations need to be conducted to diagnose the right cause for anemia. Hematocrit (Hct): The haematocrit value denotes how much of your blood is red blood cells. The normal range for men is between 41% and 50%, and for women, the range is between 36% and 44%. A low hematocrit value usually indicates iron deficiency, and iron is an important mineral that is needed to make RBCs. High hematocrit values could be indicative of dehydration or some other serious condition. Mean Corpuscular Volume (MCV): Mean corpuscular volume means the average size of your red blood cells. A normal range MCV score should be between 80 to 95. If the RBCs are bigger than normal, and your MCV levels soar, it indicates B12 or folate deficiency. If your red blood cells are smaller than normal, you could have a type of anemia. Thus, a complete haemogram test is an all-inclusive blood test that helps both your doctor and you determine your health condition, and take steps to overcome the condition that you are suffering from, before it gets worse.